And it comes down to this. Eighty one games could not decide the future for the Oklahoma City Thunder and the New Orleans Pelicans. It all comes down to the 82nd and final game of the regular season. Considering everything that has happened to the Thunder this season, it is quite fitting that fans of Oklahoma City will be on pins and needles until about 9:30 PM CST tonight. It’s a position that is unfamiliar for Thunder fans. Even in their inaugural playoff season, the 8th-seeded Thunder finished 7 games ahead of the 9th-seeded Houston Rockets. There was never any late season drama other than their annual battle with the Spurs for the top two positions in the West. This season, though, the Thunder not only need to win their final game, but also have to depend on another team to extend their season. It almost feels like the Thunder are playing two road games tonight: their game against the Timberwolves in Minnesota and the Pelicans, at home, against the Spurs. Just like in real life, its kind of scary having to depend on other people. This is the fourth and final meeting of the season between these two Northwest division rivals. The Thunder won the first three meetings by an average of 13.7 points. The Minnesota Timberwolves currently finding themselves with a 16-65 record, good for the worst record in the NBA. They are riding an 11-game losing streak heading into this game and claim the best chance of getting the No. 1 pick in the next draft if they lose tonight. The Tiimberwolves have stuck to the tanking script for the past month, sitting veterans with nagging injuries and playing their young players the majority of the minutes. The Wolves are definitely playing for the future, and feature two rookies that could have a significant impact in years to come. Reigning slam dunk champ Zach LaVine has been manning the point in the last 5 games, averaging an impressive 23.6 points, 5.8 rebounds, and 6.4 assists in that quintet of games. His back court mate, Kevin Martin, is shooting 38.7% from 3-point territory and averaging nearly 20 points a game. Kevin Martin is questionable for tonight’s game. 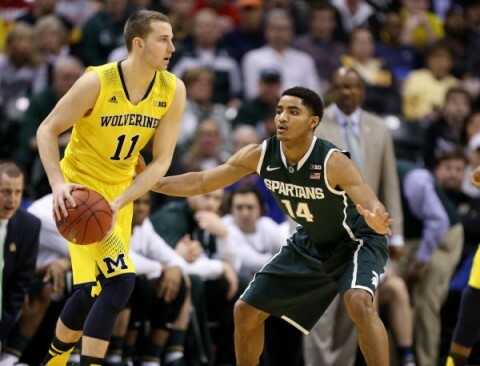 If he misses, look for Chase Budinger to start in his place. On the wing, Rookie of the Year candidate Andrew Wiggins is a developing franchise player in the Paul George/Tracy McGrady mold. Up front, rookie power forward Adreian Payne is just now starting to get significant minutes and Justin Hamilton is one of those “guys you sign to be a 3rd center off the bench” type guys. With so many guys out for this finale, the bench will feature Robbie Hummel, Lorenzo Brown, and Arinze Onuaku. Yeah, I don’t know too much about them either. 1. Front offices tank, not players – The Timberwolves’ front office has done a good job of positioning itself to continue in its rebuilding process. They’ll like get a top-3 draft pick in this next draft, and have given their young players ample time to develop this season. You know who doesn’t care about Minnesota’s position in the next draft? Andrew Wiggins and Zach LaVine. I, mean, they care, because they are invested in the continued success of their organization. But tonight, they aren’t thinking about Jahlil Okafor or Karl Anthony Towns. 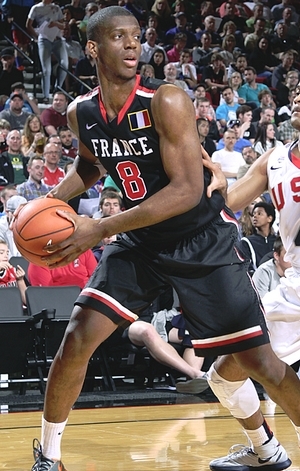 Tonight, Wiggins is only thinking about dropping 35 on Andre Roberson. Tonight, LaVine is only worried about getting a triple double against Westbrook. If the Thunder treat this game like the Timberwolves are the worst team in the league, they may find this to be a competitive game heading in to the 4th quarter. The last thing you want if you are the Thunder is to give the Wolves hope heading into the closing quarter of the game. Minnesota has played their last two opponents (New Orleans and Golden State) close, and will likely treat this game like it is their Game 7. 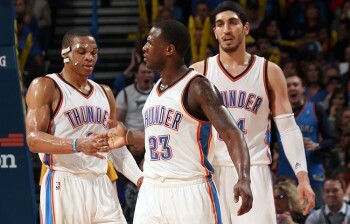 This would be their ultimate “feather in the cap” if they are able to beat the Thunder and ruin their playoff chances. 2. Play through the jitters – Westbrook and Nick Collison have been here before. 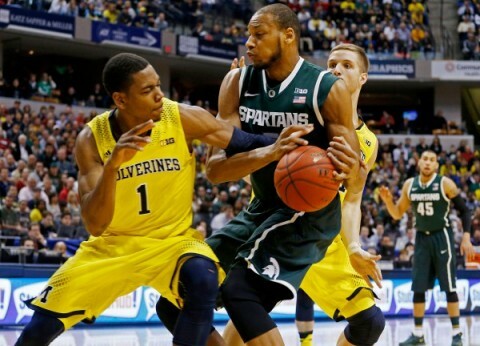 They’ve been in pressure-packed games that mean something. Enes Kanter, Dion Waiters, Kyle Singler, and Andre Roberson, on the other hand, haven’t. The team with all the pressure on them will be Oklahoma City. How will those players react if their first couple shots don’t fall? How will they react if Westbrook’s first couple shots don’t fall? Let’s just hope that doesn’t come into play. 3. 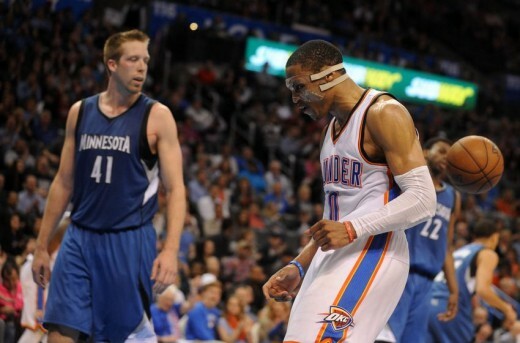 Win – The only thing Oklahoma City can control is what it does in Minnesota. They can’t control what the Spurs do. They can’t control how the Pelicans will play. All you can do is win and hope for the best. When it comes to draft picks, a team only has 3 choices: Move up, stay put, or move down (or out) in order to pick up more assets. These are the options facing the Thunder. 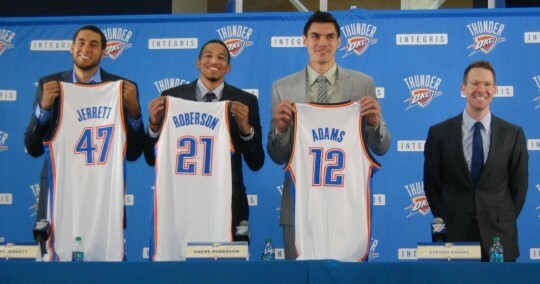 Last season, with 3 draft picks in hand, they stayed put at 12 (Steven Adams), moved up to 26 from 29 (Andre Roberson), stayed put at 32 (Alex Abrines), and moved up (bought) 40 (Grant Jerrett). With the 21st and 29th pick this season, here’s a look at some of the players the Thunder may target if they move up, stay put, or move down. Ultimately, if the Thunder stay within this range, they may be looking for someone who can pay dividends this season, and not a developmental project. They’ll definitely be looking for someone that can either provide scoring from the perimeter or someone to complement the bench. The Thunder may also either trade down into the 2nd round or buy a 2nd rounder like they did last season. 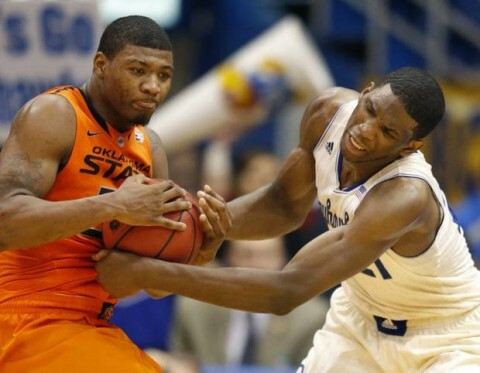 Here are 3 players the Thunder may look at in the 2nd round. The Thunder have a ton of options in this draft. With a little bit of chaos swirling around with the impending free agency of LeBron James and Carmelo Anthony, many teams are trying to set themselves up to have the ability to sign one or both of these free agents. Armed with their assets, the Thunder will look to come out of this draft with a much stronger team than they had before the draft. Whether it’s with their draft picks or with veterans they’ve acquired, the Thunder should head into the 2014-15 season with a more complete team than the one that got ousted in the Western Conference Finals.